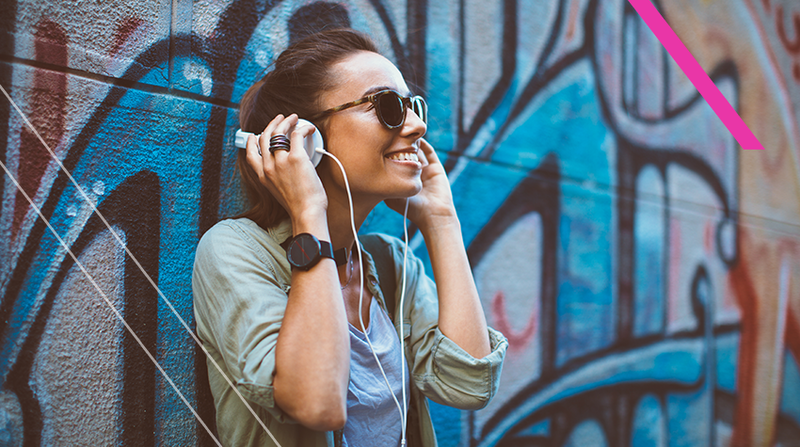 If listening to podcasts isn’t yet part of your daily routine (firstly, where have you been all 2017?! ), then it’s time to make it your new year’s resolution. Making any commute, school run or morning stroll more enjoyable, podcasts not only have the power to make you feel like you’re being productive even when you’re not, but they are particularly amazing for people who, like myself, just keep finding excuses for not reading books. Unlike audiobooks, you’ll find episodes that last anywhere from 10 mins to 2 hours, so you don’t have to worry about committing to one, and the best thing of all – they’re totally free!! It was Bernie’s first ‘Up Close’ series that got me into this podcast – a series of 5 15 minute episodes covering 5 related marketing topics. Covering both B2B and B2C, his weekly episodes include interviews with top marketing professionals, giving you a real-world view of the way marketing is changing and provides real practical learnings and takeaways for your business. Not technically labeled a ‘Marketing’ podcast, How I Built This tells the stories of some of the world’s biggest organizations and brands, direct from the founders themselves. From Instagram founders Kevin Systrom & Mike Krieger, Spanx founder Sara Blakely and actual Ben & Jerry!! Host Guy Raz (my favorite podcast host) wonderfully teases out the best stories and advice from some truly inspirational guests, behind so many household names including WeWork, Five Guys, AirBnB, VICE, Bumble the list goes on! Exactly what is says on the tin, IBM’s series ‘Making Data Simple’ does just that. Each episode is great for discussing the big topics in laymen’s terms. If you’ve ever wanted to learn more about AI, predictive analytics, big data and the likes, this is one you need to listen to. This is the future, get on board. Previous episodes include ‘Will machines take our jobs?’ and ‘The 5 areas businesses MUST get right’. No podcast list would be complete without mentioning TED talks. Another one hosted by my fav’, Guy Raz, each episode takes 5 TED Talks centered around one theme and interviews the speakers, providing inspiration and ideas from thought leaders around the world. Guaranteed to inspire or at least give you something to show off within the office. A couple of my favorites are ‘Peering into Space’ and ‘The Big Data Revolution’. With so many free apps and podcasts available, there is simply no excuse. Turn down the morning radio and pop on a podcast!